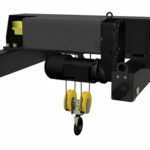 Rope hoist is lifting device that with a wire rope tied tightly on hoist drum. 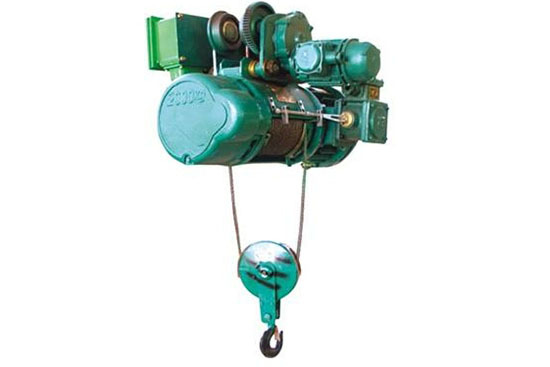 This kind of hoisting equipment often power by electricity, so it also called electric wire rope hoist. It can be fixed hoist and trolley hoist running on i-beam of gantry crane and bridge crane. 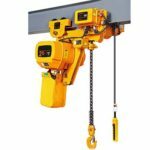 Electric pulley hoist can walk along the transporting trick of cranes, which helps prolonging the deliver distance of heavy loads and materials. Ellsen is one of the famous electric rope hoists manufacturer in China, its products sold all over the world. 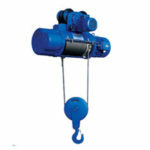 And since Ellsen rope hoists put into market, they receive praises from customers like you. 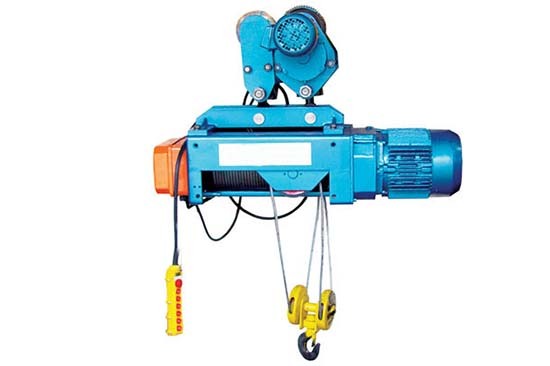 As a necessary machinery, Ellsen electric wire rope hoists are used widely in mine plant, railway construction, wharf, warehouse and building site. Because its high efficiency and compact, it becomes the essential hoisting machine to improvement working condition and raise efficiency. Hoist motor adopts conical rotor motor, which has a good performance to direct start. 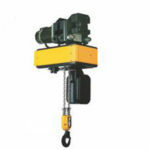 We have double speed hoist and single speed hoist, and the ratio of them is 10:1. Generally speaking the proportion cannot be changed. If you want a frequency conversion, we have Europe type hoist to you, this electric rope hoist belongs to high-class equipment of Ellsen. 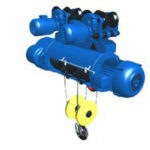 The working class of Europe ND type rope hoist can reach M6 to M7. You can choose double speed lifting or frequency speed lifting. 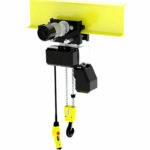 Besides, this rope electric hoist is able to do high accurate position task in a quick speed. For its cover, we use high quality aluminum material, which makes the whole machine has a better performance and a longer service life. Then, it adopts modular design, so the forced structure is reasonable, and different hoist parts are easy to figure out. 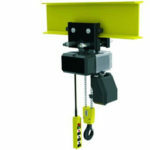 Electric rope hoist hook confirms to DIN standard of German, which makes the perfect performance of it. Control electrical appliance adopts hoists parts that import form German, so they have high switching performance and extreme long service life. 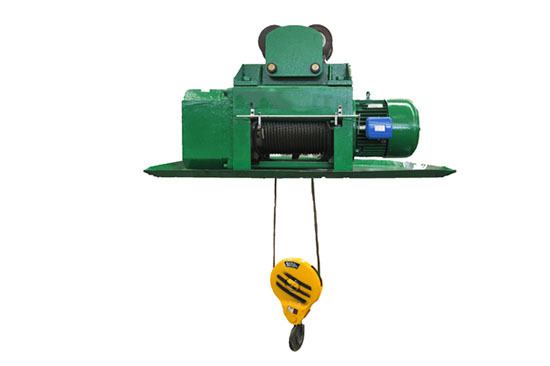 Moreover, horizontal guide wheel device at the electric wire rope hoist end makes it more stable when carry loads. 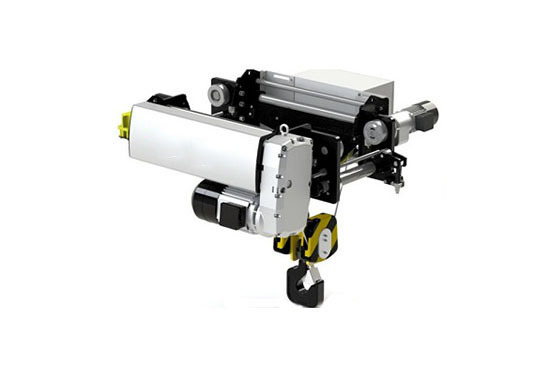 Lastly, unique design of reverse roller device takes place of traditional low headroom weight box, which can decrease the self-weight of electric rope hoist, and at the same time, the whole hoist machine is able to run in a stable speed effectively. 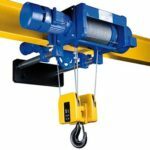 As the key part of lifting units of electric wire rope hoist, wire rope has fatal influence on the safety of rope hoist equipment. Wire rope is often abrasion and break up, to make sure the hoist safety, wire rope of hoist must be in a good lubricate state. And operator should check the fix condition on the end of wire rope. When the next three things happens, you should replace your hoist wire rope. 1. Break. When your wire rope break densely, or a strand wire rope breaks, you should replace it as soon as possible to in case of injuring of people. 2. Even though there is no obvious breaks of you hoist rope, when the abrasion and erosion reaches 7% of your wire rope, you are supposed to change another rope.